I made this card on Thursday but got busy with my family and completely spaced posting it, ooops! I'm behind on playing with my favorite challenges so I'm playing catch up with some of them. 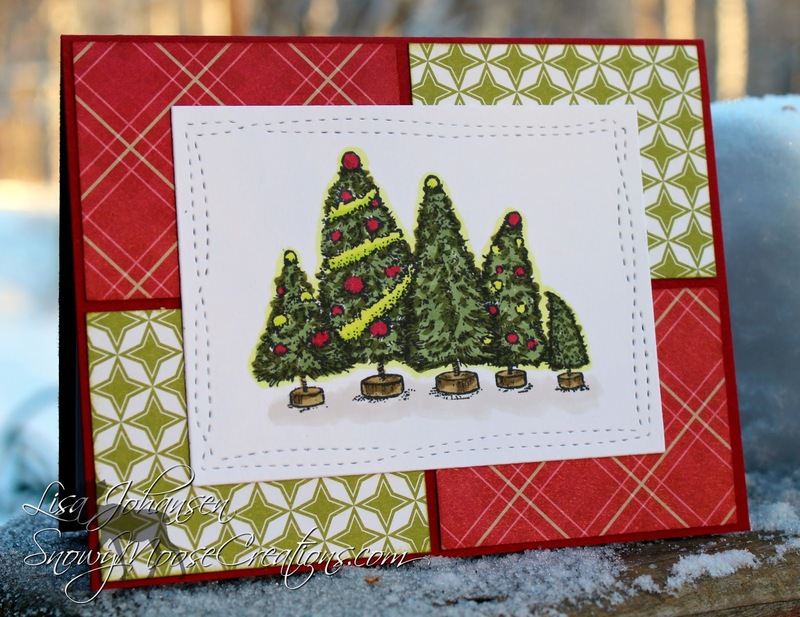 This card was made for one of the recent color challenge at Power Poppy and their Hues to Use. 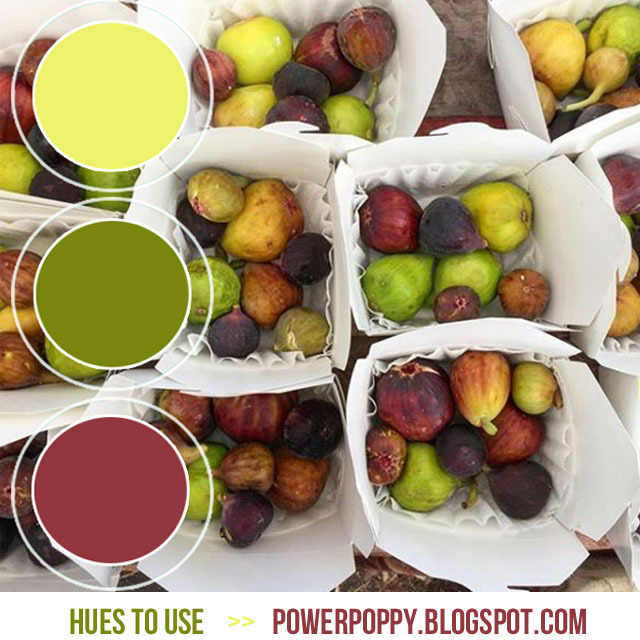 The colors to use are a plum, olive green and a chartreuse green. I wasn't sure what to do with these colors at first but after staring at all my Power Poppy stamps for a while I went with the Bottlebrush Holiday set. I think this group of trees is so fun! To bring in the plum I colored in the ornaments with the deep color, and I also tried to go for a plum color with my background paper. I really didn't have anything that color so the red I used is a bit different but I think it still works! The olive green is the trees and the background paper with the brighter green brought in on the garland and some of the ornaments. If you haven't checked out the Hues to Use challenge you really should! The inspiration photos are always gorgeous and their guest designers always show off some great cards!